The Nephin Team are a group of experienced professionals and most importantly, genuine whiskey lovers. Paul Davis qualified in Biotechnology and worked in operations including for Coca Cola Bottlers before completing his MBA and PhD. He spent happy years consulting to the Scottish whiskey industry and fell in love with the traditional distilleries in small villages and towns. Dr. Davis (giving him his official title) has developed an international reputation as a procurement expert through his founding of the MSc in Strategic Procurement in DCU and his work on the Board of the International Federation of Purchasing & Supply Management. In addition to his manufacturing knowledge, he brings obvious expertise in managing the procurement of the distillery setup and both direct & indirect supplies for ongoing operations. Paul is an avid fisherman and likes his whiskey peated. He is married to Jude and has 3 teenage children who try to be good influences and keep him out of trouble. Jude Davis has a B.Sc in Biotechnology and a Masters in Industrial Engineering. She has worked for Cadbury Ireland limited for five years and was responsible for product and process development on a number of production lines which included chocolate production, caramel production, extrusion technology, tempering and enrobing systems. From 1994 until 2007, she worked for Chivers as Technical and Quality Manager. In that time she was responsible for the operation of the laboratory, which was both a process laboratory and a quality assurance laboratory. She was responsible for all product development, packaging development, food labeling and food legislation compliance within Chivers. Jude was also actively involved in IBEC working on the Technical and Legislation Committee of the Food and Drink Federation. Mark Quick is a qualified Electronic Engineer with an MBA from Trinity College. Originally from Attymass, which is the other side of Lough Conn, Mark founded, managed & sold SourceDogg – a multi award winning software product for procurement professionals to source, negotiate with and manage suppliers and supply contracts. Mark has extensive experience in corporate governance and is a member of the board of directors of several start-ups and local charities. Mark has been busy gaining select retail partners and setting up distribution contracts for Nephin Whiskey internationally. He also deals with investors who are interested in shares or casks. Mark is a keen fly fisherman when his workload allows and ties his own flies. He also tries to find time to run or play tennis, squash, soccer, golf or anything else. John Neilly has been practicing the craft of cooperage for over 45 years and is the last reamining Master Cooper in Ireland. 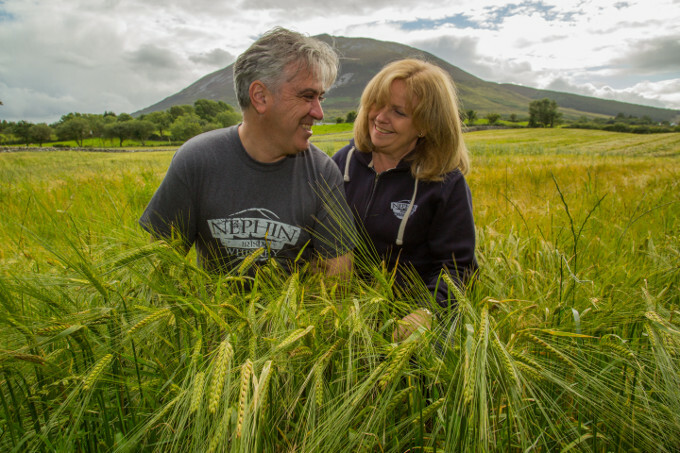 Nephin Cooperage is so central to the vision for Nephin Whiskey, that John gets his own page. So read more about John on Our Master Cooper page.